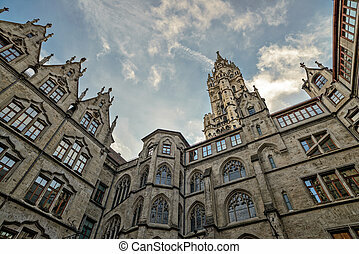 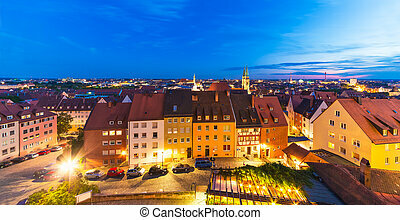 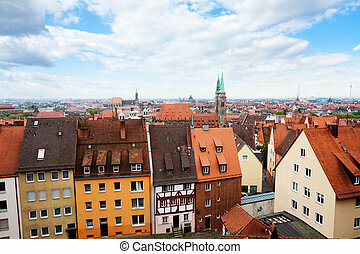 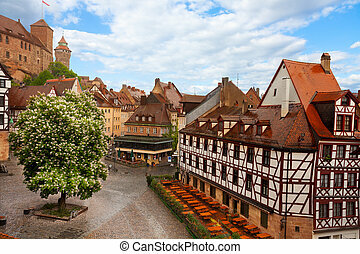 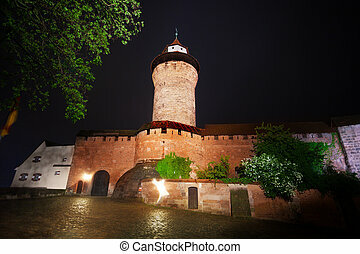 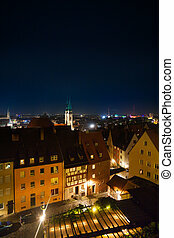 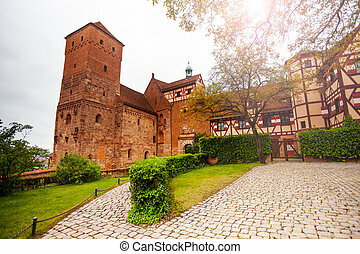 Beautiful kaiserburg view of inner yard, nuremberg. 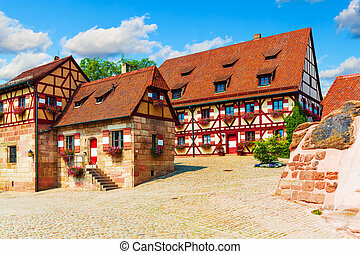 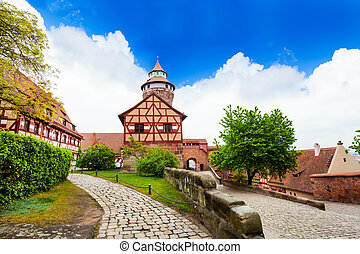 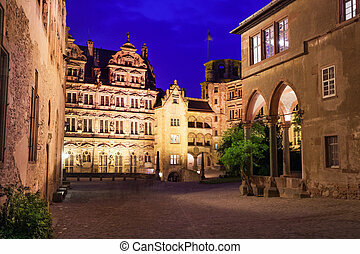 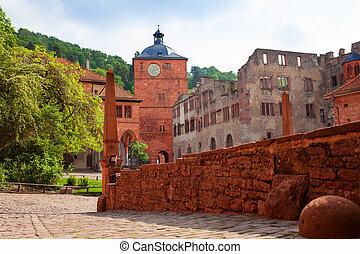 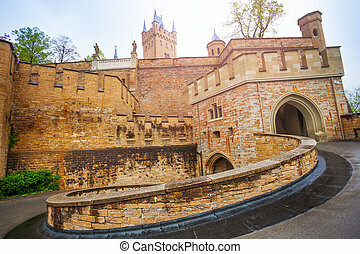 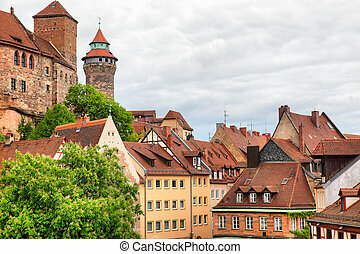 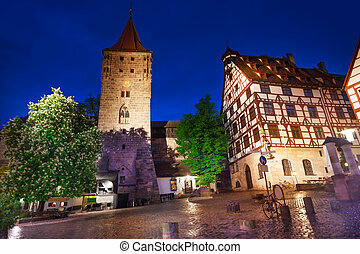 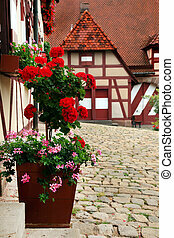 The beautiful kaiserburg view of inner yard in nuremberg, bavaria, germany during summer. 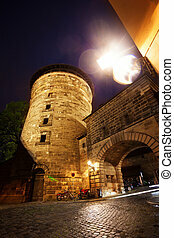 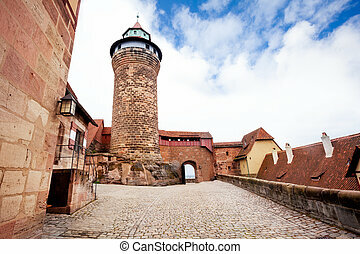 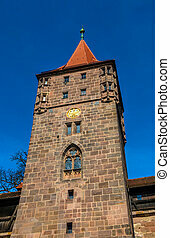 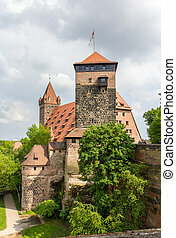 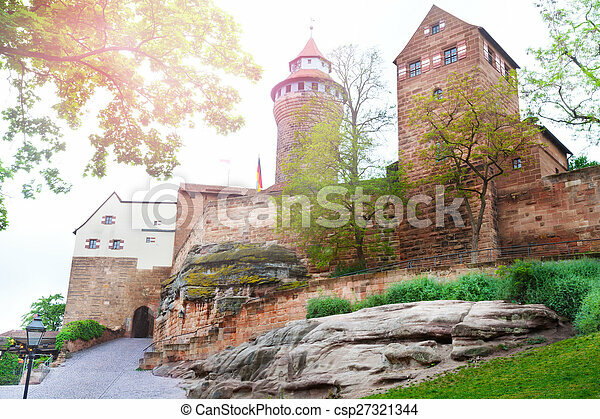 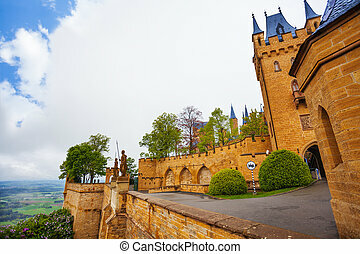 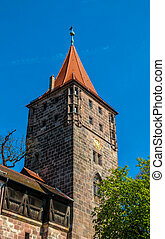 Tower in Castle of Nuremberg with blue sky on background. 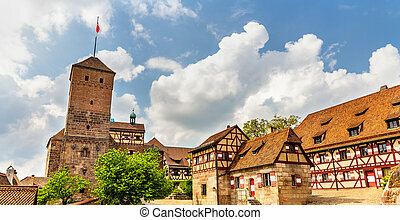 Medieval fortified building in Middle Franconia. 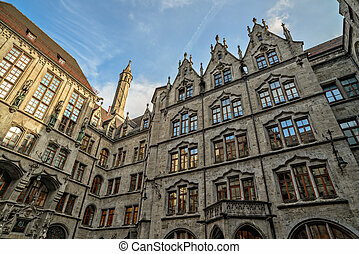 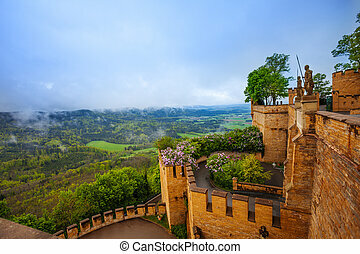 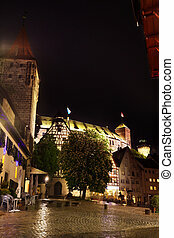 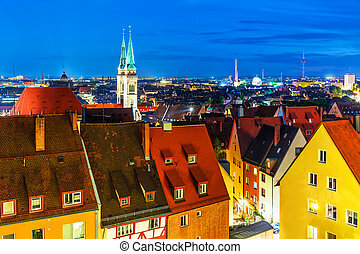 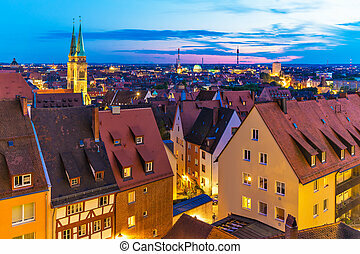 Sights of Bavaria state in Germany.